Today, his fiancee is pleading for him to turn himself in. And it was just last month, 12 people were killed, including officer Ron helus. We’ve learned the attacker shot him five times, but it was a friendly fire bullet that ended up piercing his heart and ending his life. We’re going to turn next to the investigation into possible ballot fraud in North Carolina. Tonight, the board of elections has named Mccrae Dowless, and Steve osunsami tracking him down, the man at the center of this operation. What he says. Reporter: He’s in deep trouble, and we found him tonight in rural North Carolina. I have no comment. 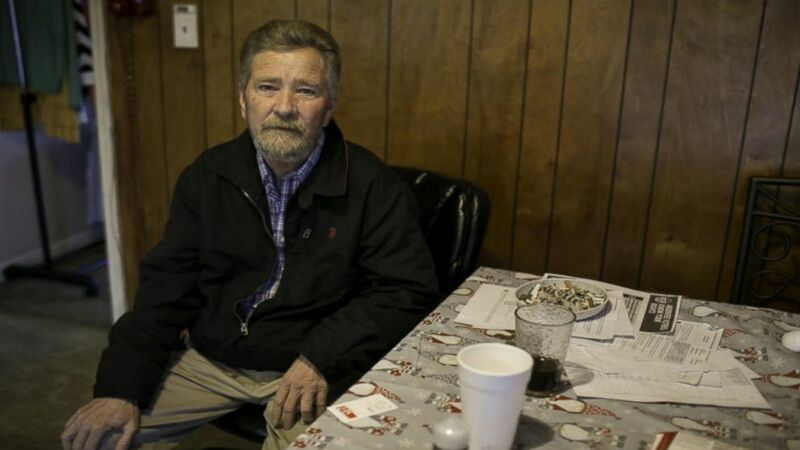 Reporter: Mccrae Dowless, the hired political hand accused of forging hundreds of absentee ballots to help Republicans win the ninth congressional seat. What do you say to people who say you rigged the election? No comment. Reporter: So, you refute any allegations that you rigged the election? Contact my attorney. Reporter: State investigators are now calling him a person of interest, and point to these signatures showing he turned in more 500 absentee ballots from rural Bladen county. People he signed for are now concerned he may have changed their vote. Cheryl Kinlaw is one of the people he hired to collect the ballots. I feel bad now that I know that it wasn’t legal, but I didn’t know at the time. Reporter: Less than 1,000 votes decided the election. And the only county where mail-in ballots went for the Republican was this one. Thank god for Bladen and union counties. Reporter: On election night, it seemed Republican pastor mark Harris had defeated Democrat Dan Mccready. But now Mccready, a Marine Corps veteran, is withdrawing his concession. I didn’t serve overseas in the Marine Corps just to come home and watch politicians and career criminals attack our democracy. That’s why today I withdraw my concession to mark Harris. Reporter: Tonight, Harris, who has been subpoenaed by investigators, is breaking his silence. Although I was absolutely unaware of any wrongdoing, that will not prevent me from cooperating with this investigation. Reporter: The Republican says he would support a new election if the fraud is real enough to change the results. Officials say they may need a new one. A former FBI agent is heading up the election. Thank you.